Magallanes Region economic activity plummeted 22.7% during the last quarter of 2007 which meant the region ended the twelve month period with a surprising negative performance of 11.5%, according to the local chapter of Chile's National Statistics Institute, INE. A presidential summit of Argentina, Brazil and Bolivia leaders is scheduled for next February 23 in Buenos Aires to try and find a solution to the anticipated shortage of Bolivian natural gas supply next winter if as estimated Argentine and Brazilian demand increases over last year's volume. Argentina's president Cristina Fernandez de Kirchner claimed on Wednesday the government had already saved almost 600 megawatts in electricity as part of the joint Plan for Efficient Energy use. A fuel supplier and freight company vital to the development of the Falkland Islands over the last two decades celebrates its twentieth anniversary since inauguration this year. Bolivian vice president Alvaro Garcia Linera ratified Wednesday in Brasilia that his country guarantees the current supply volume of natural gas to Argentina and Brazil, although he cautioned about risks when demand is forecasted to increase next winter. Venezuelan President Hugo Chavez threatened to stop sending oil to the United States if Washington continued to attack Venezuela as he said it had done through an Exxon Mobil lawsuit that has frozen the assets of the world's fifth oil exporter. Exxon Mobil Corp. won court orders in the U.S., U.K., the Netherlands and the Caribbean freezing more than $12 billion in Venezuelan assets amid a battle over the government's seizure of oil projects. 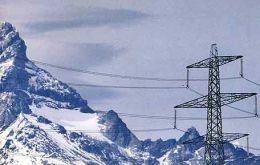 Depleted reservoirs, the recent closure of a major generating plant and an expected consumption surge in March have Chilean authorities concerned about Chile's ability to meet its growing electricity needs. 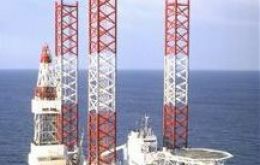 Exxon Mobil Corporation, the world's largest oil company recently broke its own industry record for the longest extended-reach oil well: more than seven miles from the frigid shores of Sakhalin Island off Russia's east coast. The energy model championed by Argentine President Cristina Fernández and her husband, former President Néstor Kirchner, keeping domestic energy prices and utilities tariffs artificially low to boost an economy recovering from a debt and devaluation crisis in 2001-2002, looks increasingly unsustainable.